The imperial court moved to Heian-kyo (Kyoto) and Kyotoremained as capital of Japan for over one thousand years untilMeiji period. Also, Samurai, warrior class, appeared and obtainedpower to rule the country in the end of period. Japanese garden developed to two garden styles in Heianperiod; Shinden-zukuri garden and Jyodo-shiki garden. 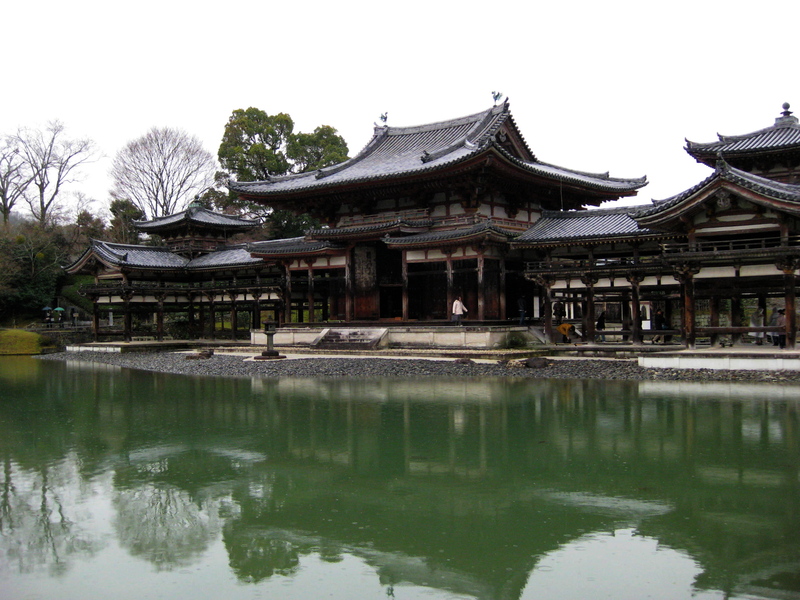 Shinden-zukuriis Japanese architecture style, influenced byChinese architecture, used to imperial and noble residences. 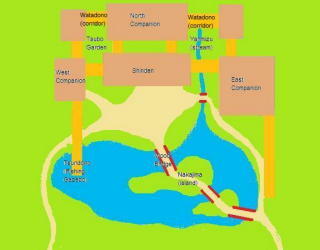 Thediagram is simplified Shinden-zukuri residence and garden style. The main house, Shinden, was surrounded symmetrically bycompanion buildings and they were connected by Watadono,roofed corridor. The corridors in the east and west side extendedto garden. 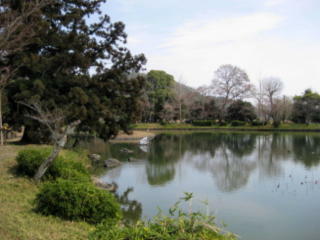 The main garden was placed in the south side ofproperty and was usually made to imitate Japanese landscape,especially sceneries in famous Japanese poets. 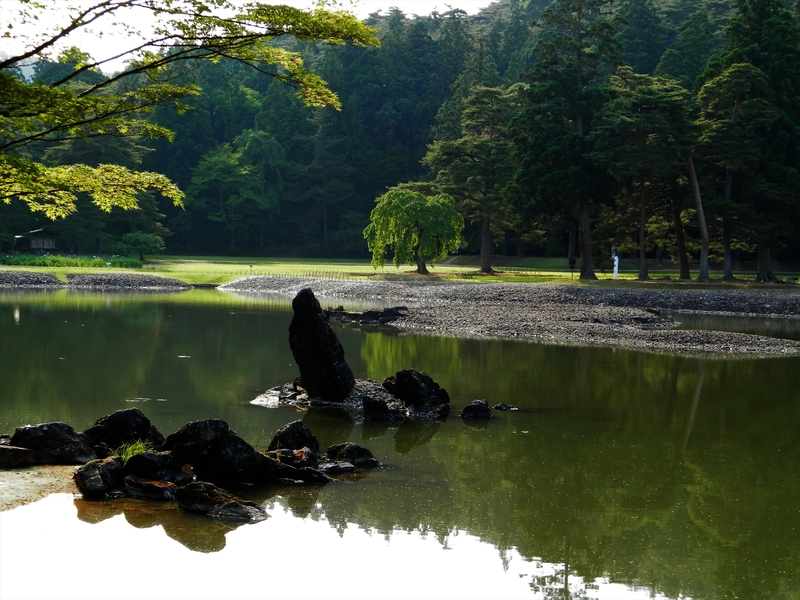 The pond, locatedat center of the garden, had few islands linked by red paintedwood bridges, and Tsuridono was a place for fishing, boarding aboat, and watching moon or snow. In front of Shinden, whitegravels were laid to purify the place for ceremony and the spacewas sometime used as stage for traditional dance or sports. Theriver going under the corridor made water sound for people innearby building to cool down. Between corridors, Tsubo-niwa(courtyard) was made and various vegetation was planted there.Unfortunately, no Shinden-zukuri garden has survived; you cansee only part of Shinden-zukuri garden in Shinsen-en and Saga-in garden (Daikaku-ji garden today). Interestingly that time, Japanese painters worked to layoutgardens. It seemed that there was not specialized gardendesigner yet in Japan. 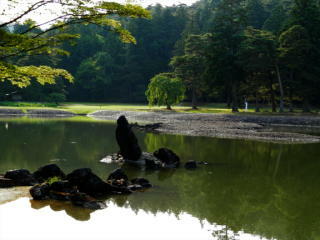 In Saga-in garden, Kudara-no-kawanari,warrior who was great at painting, made water fall (Nakoso-no-taki) and Kose-no-kanaoka, the founder of Kose painting party,set stones in the lake. In eleven century, Tachibana-no-toshitunaproduced first Japanese garden manual (Sakuteiki). The bookinstructed how to make Sinden-zukuri garden and to set stonesand garden element properly according to feng-shui. In the end of Heian period, Mappo-idea, Buddhism idea ofdecreasing era when people could not obtain enlightenment,spread all over the country. As a result, people began to pray forAmida Buddha who invites to the Buddhism heaven, and noblesattempted to construct the Buddhism heaven in the lower worldas a form of Jyodo-shiki garden. 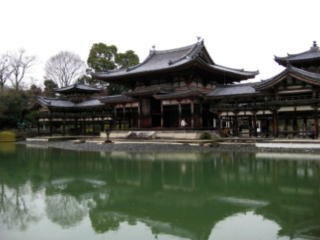 The garden was proportionallyclose to Shinden-zukuri garden yet had religious meaning.